Universal Orlando Resort currently has multiple projects underway. Since permits for most of them have been approved, new details have been scant. That being said, we can update you on inspections and recent pictures that have been taken. ©2012 Universal Creative. All Rights Reserved. The project with the most visible progress and the one that is furthest along is the new London Lagoon Waterfront that is replacing Amity Village. The area is being modeled after London's Victoria Embankment which features a concrete with wall with pillars, fancy lamps, and greenery. PCL Construction has completed nearly two thirds of the new wall. It would not be too crazy to think that the whole wall could be compete in the next two weeks. After the wall is complete, they will need to get to work on the inland portion which will either feature planters or ponds. The plans we received from Lee at WDWMagic did not specify what they were. If the areas are indeed ponds, that could take a while to complete. If they are planters, we could see this area open up some time this year, at the rate they are going. Inspections on various sections of the wall have been scheduled almost daily. At first glance, I believed this to be for Gringotts. Only time will tell. The permit and review are short on details. It is currently awaiting revisions since July 25th. Transformers has either caught-up with or surpassed Gringotts. Recent photographs and inspections of the site reveal that there is a rebar mat already in place within the confines of the below grade, sheet-piling reinforced area where Soundstage 44 used to stand. Today, there was a "Final Inspection for Concrete reinforcement." Visitors to Universal Studios Florida should be seeing a slab appear shortly. Universal is wasting no time on this project and looks to be on track for a Winter 2013 opening. ©2012 Warner Bros Pictures. All Rights Reserved. Like Gringotts, progress on this project will remain a mystery until someone gets a helicopter update. Utilities were put in earlier this year. The area is likely undergoing dewatering or preparations for dewatering at the moment as the permit was recently approved by the South Florida Water Management District. 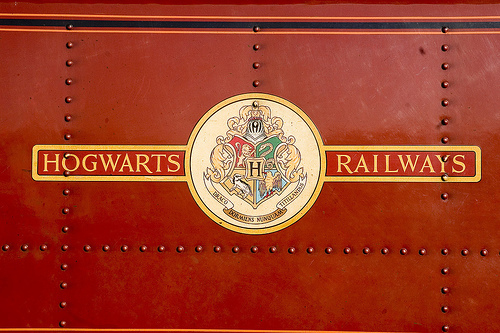 Work has reportedly begun behind the Revenge of the Mummy showbuilding on the Hogwarts Express track. 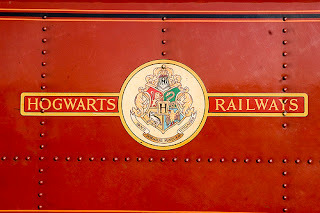 Many believe that there will be a track switch in this area for trains to bypass each other as they make the trip between Hogsmeade and London. Pictures have recently sprung up showing an excavator behind the Lost Continent construction walls and there is a noticeable absence of trees. 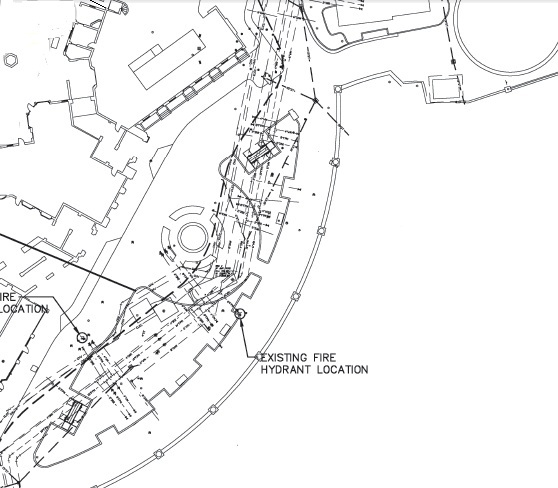 The future home of Hogsmeade Station is likely undergoing dewatering or is being set up to be dewatered. Riders of Dragon Challenge should be able to see this. Could Hogsmeade look like this in a few years? 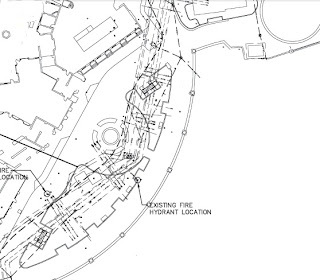 The Diagon Alley permits have been languishing in the review stages since late May. The review of the second set of plan revisions were completed on July 20th. Today, August 3rd, was the first update in two weeks. Wastewater seems to have gotten new plans and changed their Disapproval to Approved. Hopefully the other hang-ups received revisions as well. It would be nice for every aspect of WWoHP Phase 2 be ready for construction. This is currently the last piece of the puzzle, at least for the foundations of Phase 2. Work has seemingly begun as pictures of a crane and green fences have appeared on the internet. The resort is currently being built in 3 phases of 600 hotel rooms. There are currently permits for fire pits, swimming pools, and a bar. Some people are reporting that the water taxi canal will not be extended to Cabana Bay which is unfortunate if true. To discuss these projects, visit and join Orlando United. 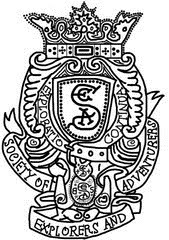 For updates, follow us on Twitter and like us on Facebook.